This entry was posted in Applique, Baby Quilt, Modern Quilts, Quilting, scrap quilt and tagged quilt scraps, scrap blocks, scrap quilt, scraps by zippyquilts. Bookmark the permalink. Thanks, Carol! And best wishes for your 2019! Congratulations, Mary! You continue to inspire us! Thanks! That one took long enough! Congratulations! I will get a copy of the magazine. Love the design and brightness. It is a happy quilt! CONGRATULATIONS!!!! This is a well deserved honor! Yay you!! That’s so fun, isn’t it? 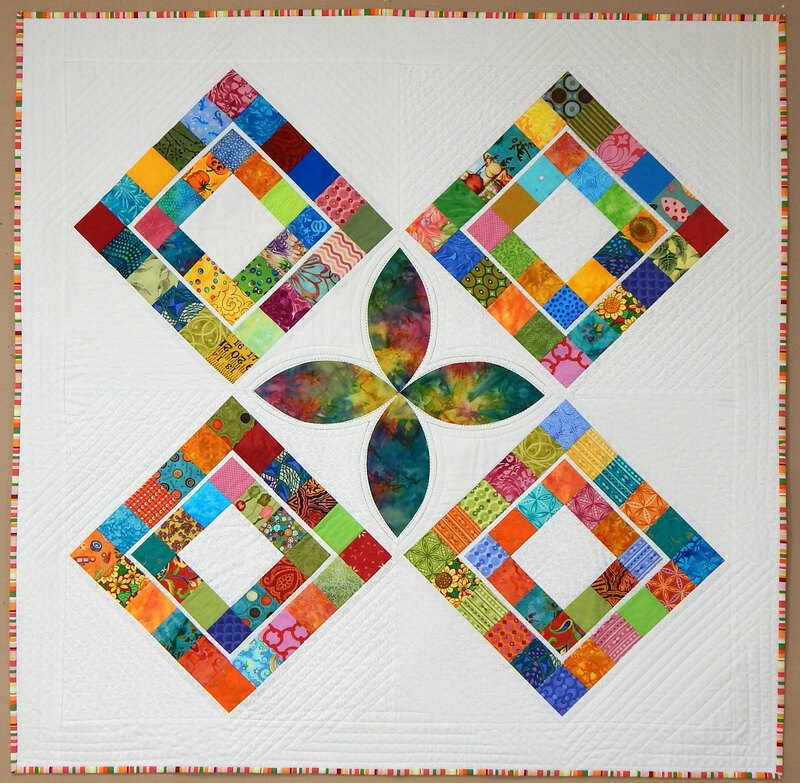 The quilt is attractive and I do like the petal center. Congrats! I’m so excited for you. Will check at the drug store to see if we get Quilty in Canada. Very cool to be published! Congratulations, Mary! 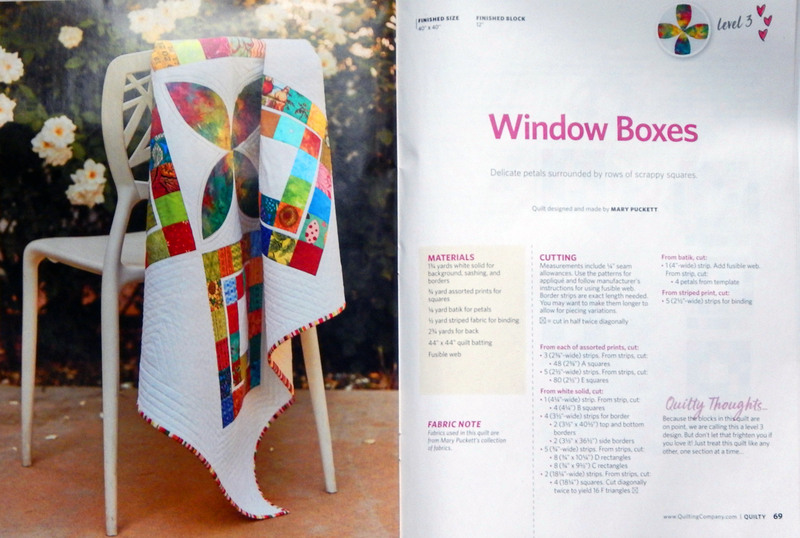 How exciting to have another quilt published! I like the petals in the middle. Hi, Katy! Good to hear from you, and thanks! Woohoo! Always happy to see some of my favorite creators in print! I love the large petals in the center–glad you were able to go with that one when published. Super jog–Congratulations! Congratulations on getting a pattern published! 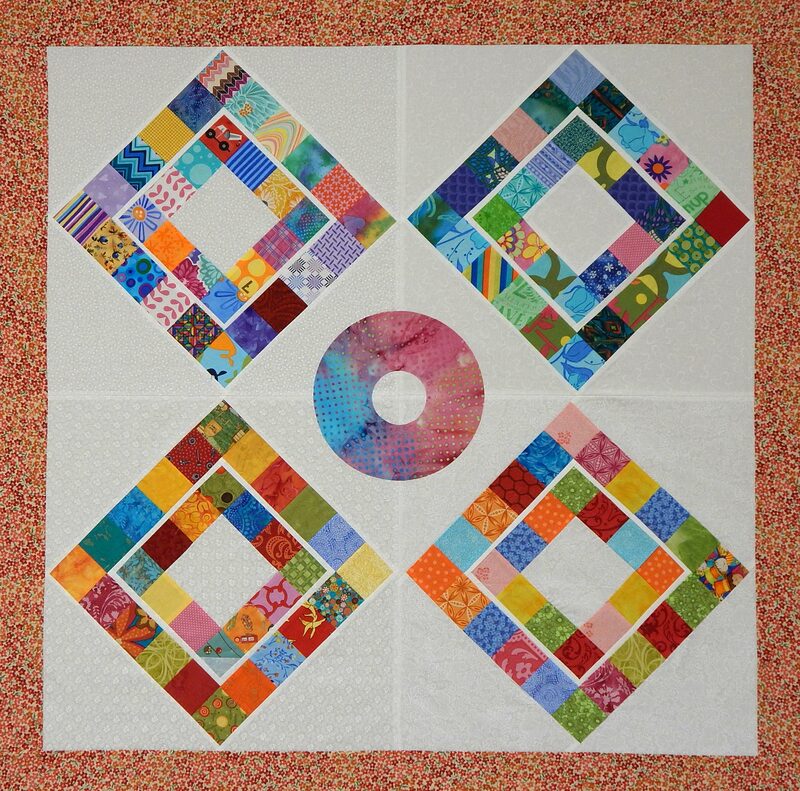 It is well deserved, your quilt is gorgeous!